LOS ANGELES, CA – September 2nd 2015 – Garbage today announced they will release a special 20th Anniversary Edition of their critically acclaimed self-titled album in celebration of its historical debut. The new version will be re-mastered from the original analog tapes and feature all of the remixes and previously unreleased tracks from the lauded album. For a complete list of the available album configurations (digital and physical) see below or click HERE. CD and digital album configurations will be available for purchase on October 2nd. A pre-order for the CD is now available HERE. Fans who pre-order the Digital Super Deluxe Edition on iTunes will receive an instant download of the previously unreleased track “Subhuman (Supersize Mix)”. This track can also be streamed today HERE. Garbage will also be releasing a double vinyl LP available October 30th in Europe. A limited edition triple-vinyl LP with an autographed band photo is only available for pre-order HERE beginning today in time for a December holiday delivery. 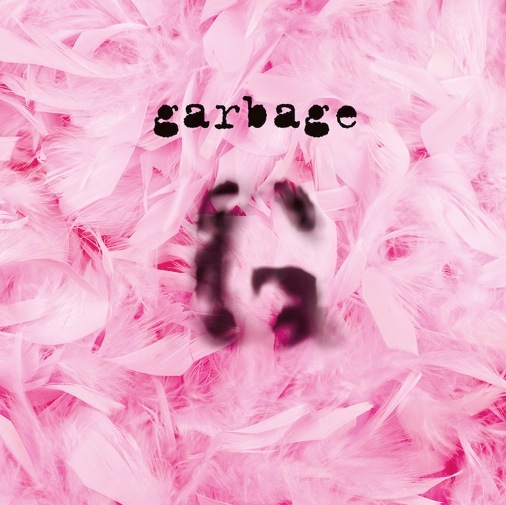 Garbage released their genre defying, groundbreaking debut on August 15, 1995 at a time when grunge music dominated the airwaves and mainstream culture. Their distinctive approach to songwriting and production – blending elements of rock, pop and electronic music – captured the attention of critics and fans all over the world. The album spawned multiple hits including: “Vow,” “Queer,” “Stupid Girl” and “Only Happy When It Rains.” It spent more than a year on both the U.S. and U.K. charts, received multi-platinum certifications around the world and was nominated for GRAMMY® Awards including Best New Artist and Best Rock Song (“Stupid Girl”). The album went on to sell over 4 million copies worldwide. To celebrate 20 years as a band, this October Garbage will embark on a special U.S. and European Anniversary Tour. Christened the 20 Years Queer Tour, the band will play their debut album in its entirety for the first time. A full list of dates can be found below. Tickets are available for purchase now. Check Garbage.com for additional ticketing information. Torres will support on their U.S. dates and Dutch Uncles will support in Europe. The band will offer VIP experience packages for the U.S. tour through Adventures in Wonderland. Offers will include premium seating, sound check access, meet and greets, soundboard viewing, and exclusive merchandise. Garbage’s debut album remastered from the original analogue tapes. Double LP of Garbage’s debut album remastered from the original analog tapes. 180gm Vinyl – Exclusive limited edition fan generated zine. Includes download card and autographed photo of band. Garbage is Shirley Manson, Duke Erikson, Steve Marker and Butch Vig. After forming in Madison, WI, Garbage released their self-titled debut album in 1995. The band’s unique sound and provocative visual aesthetic, inspired massive worldwide attention and success. Their follow up album, Version 2.0, released in 1998, topped charts all over the world and garnered multiple GRAMMY Award® nominations including Album Of The Year. Garbage went on to release two more albums: 2001’s Beautiful Garbage and 2005’s Bleed Like Me, the latter which earned the band its highest chart position with a No. 4 on the Billboard Top 200 Album Chart. After a 7-year hiatus, the band released their fifth studio album Not Your Kind of People in 2012 on their independent record label, Stun Volume. The album was named one of Rolling Stone magazine’s Top 50 Albums of 2012 and was hailed as the “alternative to everything,” by Pitchfork. Garbage has sold over 12 million albums worldwide and performed in over thirty-five countries. The band is currently working on their sixth studio album, set for release early next year.